Bacterial lung infection occurs when pathogenic bacteria enter the lungs. As a result, the air sacs become engorged with cellular debris, fluid, pus and they get inflamed. In most cases, this condition makes the exchange of oxygen and carbon dioxide difficult. Most people who have the infection experience shortness of breath as they try to take in oxygen. Tuberculosis is a serious and chronic lung infection. It is caused by eponymous bacterial species, mycobacterium tuberculosis. 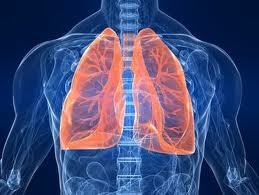 Tuberculosis impairs the ability of the lungs to carry oxygen as well as their effectiveness. A tuberculosis patient usually experiences a persistent cough with blood-tinged or discolored sputum, sudden episodes of chest pains and discomfort while breathing. Tuberculosis takes time to detect as it manifests itself as a cold or flu in its first stages. It is highly contagious and for this reason, a tuberculosis patient should use separate items from the rest of the family such as utensils and clothing. Pneumonia simply refers to the inflammation of the lung, the alveoli in particular. It is caused by a number of reasons, including bacterial lung infection. Streptococcus pneumoniais the bacteria that should be responsible for bacterial pneumonia. Mycoplasma pneumoniae, bordetella pertussis and chlamydophila pneumoniae contribute to about 10% of acute bronchitis cases despite the fact that it is caused by viruses. It basically affects the bronchi and causes them to be inflamed. Coughing is the common symptom. Is Bacterial Lung Infection Contagious? The type of bacterium that has caused the lung infection dictates whether the lung infection is contagious or not. The majority of bacterial lung infections are not contagious with an exception of tuberculosis and pneumonia. This is because of mycoplasma pneumoniawhich is highly contagious. These two infections can be spread when people breathe in infected droplets from coughing or sneezing. Depending on several factors like the type of germ, overall health and age, the signs and symptoms of bacterial lung infection differ from minor to severe. The mild symptoms manifest themselves like those of a flu or cold, but they persist longer. Newborns and infants in some cases do not exhibit any symptoms of an infection. In case of severe symptoms, they may cough, vomit, have fever, seem to be restless, lack energy or become tired, have trouble feeding and breathing. People above the age of 65 with a weak immune system might have body temperatures below normal. Mental awareness changes for older people with pneumonia. When you feel like you have a fever accompanied by a cough with green, yellow or brown phlegm, visit your doctor. Also, if you are having chest pains, breathlessness or confusion, seek medical attention immediately. Treatment depends on the seriousness of the infection, your age and general health. Treatment focuses on curing the infection and avoiding complications. If the infection is acquired communally, treatment can be administered at home. Most of the signs and symptoms can be eased in a few days but the fatigue might last a month or so. These can be used to treat the infection once the bacterial infection is identified. If your symptoms do not improve, go back to your doctor for a different prescription. Medicine like aspirin, ibuprofen and acetaminophen can be used to reduce fever. This can help you to relax as coughing promotes loosening and movement of fluid from the lungs. For people at and above the age of 65, pneumococcal polysaccharide vaccine (PPSV) is recommended by the U.S Centers for Disease Control and Prevention (CDC). It is also made available for adults who have weak immune systems or at a higher risk of getting pneumonia. CDC also recommends children to be given pneumococcal conjugate vaccine (PCV13). Infants are given the same in different doses during their first year. When you get flu, the immune system is weakened. This gives bacteria an opportunity to invade your lungs and cause an infection. A flu shot annually can keep you from getting bacterial lung infection. You can reduce the chances of getting bacterial lung infection by living in a healthy way. Exercising, eating balanced diets, avoiding smoking, getting enough rest as well as washing your hands with soap or using alcohol sanitizers can keep potential lung infections away.